Join us on January 21st. 3pm at the GW Graham Theatre for the second concert in our Three Concert 10th Anniversary Series. A program taken from the master Beethoven injected with a bit of humour. Guest soloists, The Somerset Trio, will be joining us for the rousing Beethoven Trio for Piano, Violin, Cello and Orchestra. You may purchase tickets as a series of three at an advantageous price of Adults $60.00 and Students $30.00 or as single tickets Adults – $25.00 and Students – $15.00. Ticket sales will be: at the door on the day or at The Book Man, Long and McQuade and King’s Music. Tickets will be on sale Oct 1, 2017. The Fab Fourever and the Met, THEY’RE BACK! Six years ago Beatles Tribute Band the Fab Fourever and the Met Orchestra collaborated in a concert like none other. Even the Beatles never appeared on stage with a full orchestra! If you are a fan of Beatle’s music DO NOT miss this fabulous concert. To be performed at the Chilliwack Cultural Centre on March 10th @7pm, 2018 repeated on March 14th at the Mission Clarke Foundation Theatre. Tickets are on sale now through the Chillwack Cultural Centre Box Office, 604-391-SHOW and the Clarke Foundation Theatre in Mission for the Mission performance. What a wonderful Christmas present a set of tickets would make! Adults $45.00 and Students $30.00. 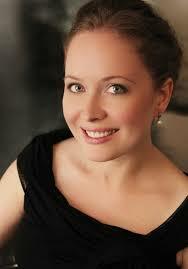 Our first soloist, ten years ago, was Chilliwack born Pianist Dr. Janice Fehlauer. Janice has graciously agreed to return to Chilliwack from her current home in Houston Texas to perform the superb Grieg Piano Concert for our SCANDINAVIAN ADVENTURES CONCERT. 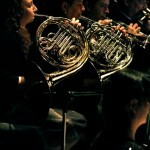 May 27th, 3pm at the GW Graham Theatre, this concert will be part of our Special Tenth Anniversary Three Concert Series. Tickets will be on sale from October 1st. at The Book Man, Kings Music, Long and McQuade and at the GW Graham Theatre door. 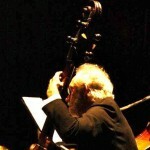 Series of three concerts for Adults $60.00 and Students $30.00. Single tickets Adults $25.00 and Students $15.00. 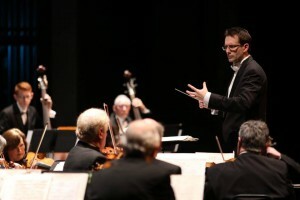 The Chilliwack Metropolitan Orchestra is Chilliwack’s non profit, volunteer, community orchestra. Founded in 2008 by local musicians who wished to perform full symphonies, concertos and work with world class guest soloists we volunteer our time and talent to perform four concerts per year for Chilliwack concert goers. The orchestra has continued to grow and now includes 40-50 members, performs four concerts per year at both the GW. Graham Theatre and the Chilliwack Cultural Centre. We also have an active Community Outreach Program having performed in 2016/17 at the Vedder Legion and the Gwynne Vaughn Plant Sale. The 2017/18 Season will be a celebration of our Tenth Anniversary and we will be welcoming back our special friends The Fab Fourever, and Dr. Janice Fehlauer. The Somerset Trio and Violinist Angela Cavadas round out the seasons guests. Our Conductor, Gregory Douglas Johnson, is now starting his fourth year with the orchestra and the members appreciate his lyrical style, love of music and gentle sense of humour. It his been his dream from the age of 18 to conduct a symphony orchestra. Greg has his Masters Degree in Orchestral Conducting and is also an accomplished musician in his own right. This season’s Concert Master is Richard Barker, who is a well known musician in the Chilliwack music scene. 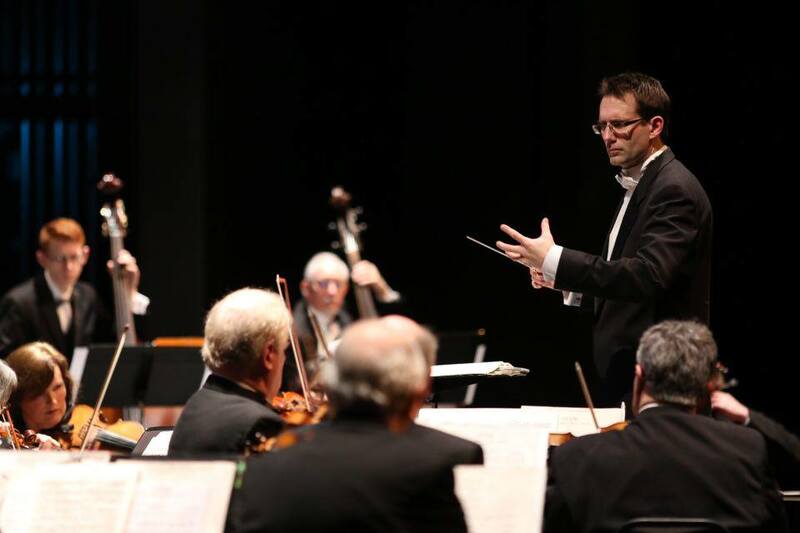 The Chilliwack Metropolitan Orchestra is a non-profit organization dedicated to providing patrons of the Fraser Valley with quality Classical music. One of our missions is to foster the love of music in our community. It is with your help that we exist. Thank you for your support of the "Met."